There are two broad elements to any large-scale correctional healthcare program: services provided to inmates on-site at correctional facilities (e.g., primary care, specialty consults, dentistry, optometry, mental health, etc.) and services that require transport of inmates to off-site community providers (e.g., hospitalization, outpatient surgery, emergency room trips, etc.). In addition to the team of clinical and administrative personnel managing the day-to-day services on site at each correctional facility there is a need for a network of community service providers, including hospitals, clinics, and specialists from various medical specialty care areas (e.g., orthopedics, cardiology, Ob/Gyn, surgery, neurology, etc.). As Centurion expands its services into new territories, the company builds networks of community-based hospitals and specialists through contractual service agreements. Centurion understands and respects that community-based providers face unique challenges with correctional patients. We are committed to providing support, convenience, and straightforward communication through a multifaceted program that includes timely payments, as well as chronic care and disease management programs for inmate patients. 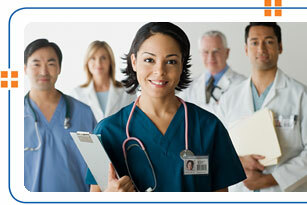 Centurion is committed to continually enhancing our program and wants to hear from providers in the community. For more information, please contact us.